The “A disk read error has occurred” is an error message, which appears during the boot up of the computer and originally states this: “A desk read error has occurred. Press Ctrl+Alt+Del to restart.” This error typically occurs when there is a problem with the computers’ hard drive or some problems with the software. Sadly, you cannot fix it with a simple reboot and there is no universal solution, which can deal with the “A disk read error has occurred” error message. Still, there are some fixes, which you can try in order to handle the issue, and in the next lines, we have carefully picked some of the most effective ones. Preparation: In order to perform some of the solutions, shown below, you should know how to boot your computer into BIOS to chance Boot Order. For that, as soon as your PC restarts, enter the BIOS settings by pressing some of the following keys depending on the manufacturer of your computer’s motherboard – usually it is F2 or Esc, Delete, F8, F10 or F12. If you don’t know which key you have to press, do a quick Google research on “how to enter bios” while specifying the model number of the motherboard. You can also find it displayed on the post screen or the manual that was supplied with your system. Then, navigate to the Boot menu. Fix 1: Check if your HDD has failed. A possible failing or a failed hard drive will make it impossible for your computer to read it. In this case, “A disk read error has occurred” error can occur. To check if your HDD has failed, remove it from the affected computer and connect it to a working one. If it boots up without showing an error message, then it is fine. If the “A disk read error has occurred” error appears on the new computer, then you definitely need to replace it with another HDD and start with a new Windows OS installation. Sometimes, the cause of the “A disk read error has occurred” problem might be not a failed HDD but issues with the RAM. In this case, a test of your RAM with a proper diagnostic tool of your choice (you can check online for best “RAM diagnostic tools”) can identify the problems. A RAM diagnostics is a non-destructive and very informative method to check the condition of your computer’s RAM or RAM slots. If they turn out to be faulty just replace them and see if the “A disk read error has occurred” error should be resolved. 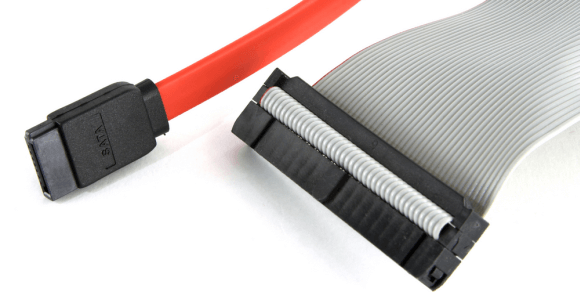 The HDD cable is a wire that connects your computer’s motherboard to the hard drive. If it is loose or defective, naturally, there will be no connection and a “A disk read error has occurred” error message may appear. To check if this is the cause, simply open up your computer’s hood and make sure that the cable is well fastened on both ends. If the current one is faulty, you can even replace it with a new one. Fix 4: Check your boot sector and master boot record for corruption. “A disk read error has occurred” error may appear, if the boot sector or the master boot record is corrupted. Simply repairing them will most probably resolve the problem. From the Windows Options menu press Rto enter the Recovery Console. Enter the Administrator passwordfor the computer. Continue with this process ONLY IF the command detects any errors or issues. Restart the computer and see if the problem has been resolved. 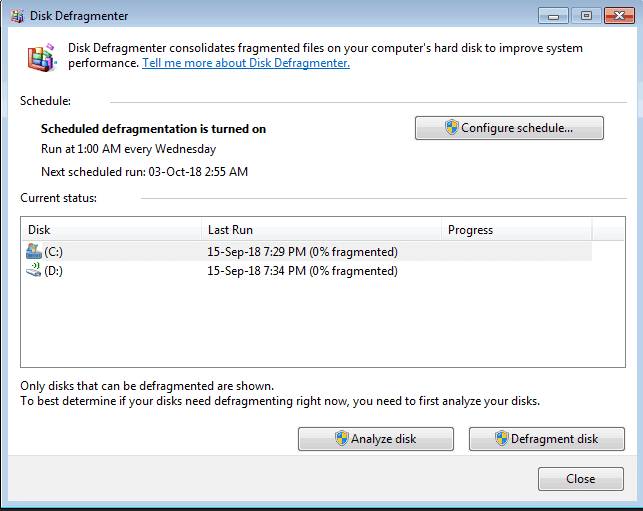 In some rare cases, a defragmentation of the HDD may fix the “A disk read error has occurred” error. To perform a defrag, connect your hard drive to a working computer externally and use the Windows build-in defragmentation kit. Once the process completes, try to boot from it and see if that resolves the problem. Note: If you have valuable data on the hard drive and you have no backup for it, then DO NOT try this fix, as it may result in loss of data. In some rare cases, a BIOS reset may fix the “A disk read error has occurred” error. That’s why, if none of the above methods work, you may decide to give it a try. To access your computer’s BIOS, restart the machine and press a specific key (depending on your motherboard’s manufacturer as mentioned in the beginning) right at the beginning when the PC boots up. Then, check for an option, which can reset the BIOS to its factory default state and then select it. The same effect could be achieved if you remove the circular CMOS battery placed in your computer’s motherboard for 5 minutes. If you decide to seek some professional help to fix this issue, you may also research for specialized software, which can detect and fix various issues on your system or contact a PC repair specialist for assistance. In all cases, it doesn’t harm to try some of the fixes suggested above and see if you can handle the “A disk read error has occurred” on your own. We will be more than happy if you share with us what worked for you in the comments below.